We do professional Bertazzoni range repair. Our services are fast, affordable and reliable. We are experts on all the Bertazzoni appliances whether it is Bertazzoni oven, Bertazzoni refrigerator or Bertazzoni microwave, we can fix any of them. Our technicians are very skilled in all aspects of repair and maintenance. They are all factory trained and certified to do their job. We can guaranty you top quality work on all your Bertazzoni range repair. From the moment we examine your range to and throughout the process of the repair, we will offer the best solution for you. We will find genuine Bertazzoni parts and will expertly install them. With us, you can be sure that your appliance is in good hands. Bertazzoni is Italian company that produces top quality, expensive and beautiful kitchen appliances. It’s ranges and ovens are very well made with dual-ring, high-efficiency burners, stainless-steel electric griddles, pyrolytic oven linings and quadruple-glass doors. They can give you excellent cooking and baking results for years. All you have to do is maintain them properly and hire profession to do any repairs or upkeep. We are such a professionals. We can help you keep your Bertazzoni in great shape for many years to come. Our team knows alot about Bertazzoni range repair. We also know how to give you the best customer service possible. Our team is always friendly, polite and ready to help. We offer flexible scheduling in time most convent for you. We also have a accurate estimate with every job and FREE service call with all repairs. Also, we can get for you genuine Bertazzoni parts and have 3 yearwarranty on all the parts we install. Our technicians work fast and are detail oriented. One appointment and your Bartazzoni will be as good as new! For Bertazzoni range repair call us and we will schedule a convenient appointment for you. Our technicians will preorder the parts for your project. This way he can get right to work as soon as he gets to your house. He will bring all the tools and equipment with him. He will quickly diagnose what is going on with your range and start working or repairing it. Usually what you need is replacing worn parts or just some tune up. Whatever it is, we will figure it out and solve the problem. Your Bertazzoni will be fully functional by the end of the service appointment. And you will be very happy with the results. 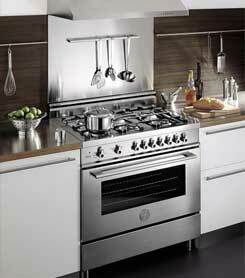 We also do professional maintenance program of all Bertazzoni appliances. This is done on annual or bi-annual basis depending on what you need.Our company offers such maintenance program. This program covers all appliances in your kitchen and laundry. As a part of this program, our technicians will do all the maintenance for you on a regular basis. They will inspect your appliances every time and catch any problems before they become significant. This maintenance service will save you time and money in a long run. Why choose us to do Bertazzoni range repair for you? We are your top choice for Bertazzoni range repair because we have the skills and experience that other companies do not. We specialize in Bertazzoni and know everything there is to know about this European appliance brand. Our technicians are all factory trained and certified. We also can get you genuine parts and very reasonable prices. Our team does the job right the first time because we want you to be totally satisfied. We offer you flexible appointments and will work around your schedule to make the repairs possible. Your service appointment will be convenient and fast. And most importantly you will be very happy with the results. Your Bertazzoni range will function great! Just like it did the day you bought it. For Bertazzoni range repair, please call us at 925-265-7782 in East Bay or 628-214-0064 in Marin County. Or you can fill out our short contact form. We would love to talk to you and answer all of your questions. We do professional Bertazzoni range repair. Our services are fast, affordable and reliable. We are experts on all the Bertazzoni appliances whether it is Bertazzoni oven, Bertazzoni refrigerator or Bertazzoni microwave, we can fix any of them.